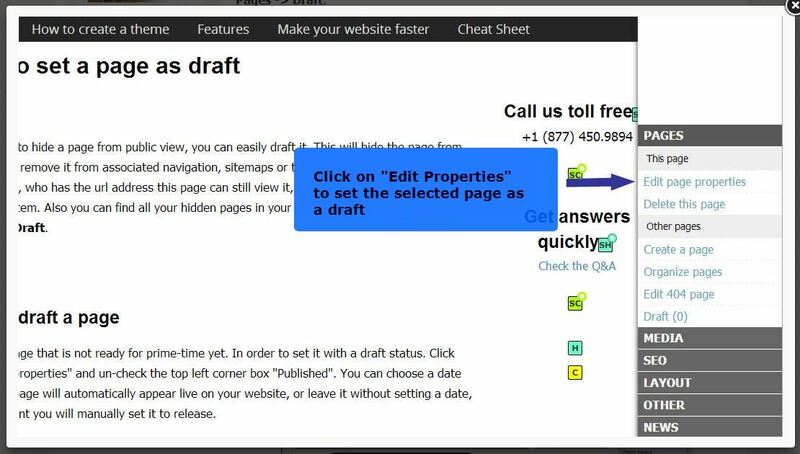 If you need to hide a page from public view, for instance because you want to keep working on it before publishing it, you can easily set it as a "draft". 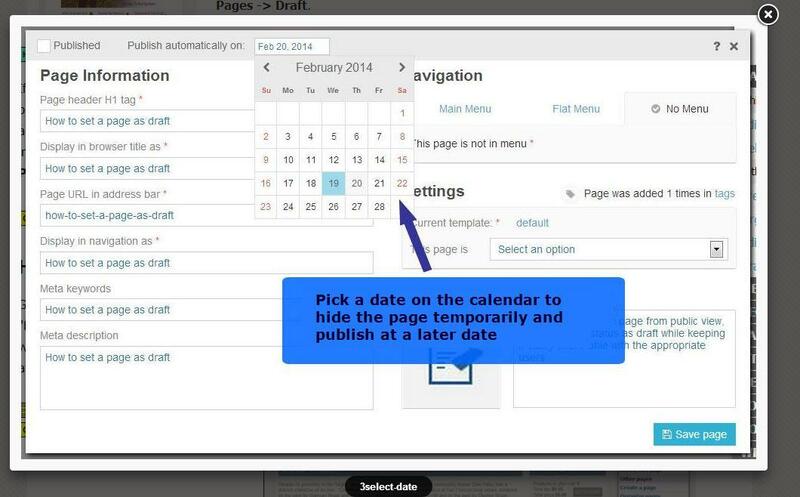 Doing this will hide the page from public view, remove it from associated navigation, sitemaps or tagged lists. The owner and anyone else who knows the direct link / URL address of the page will still be able to view it, and of course edit the page when logged into the system. 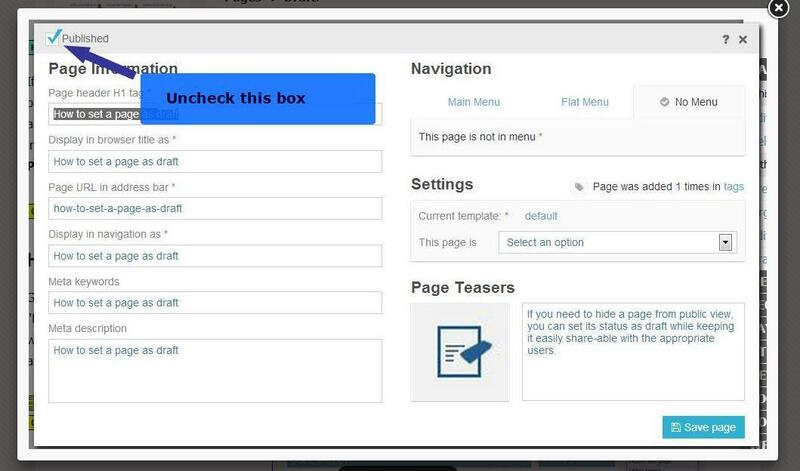 You can find all your unpublished pages in the SeoToaster Control Panel by selecting PAGES > Draft. Go to the page that is not ready for prime-time yet. 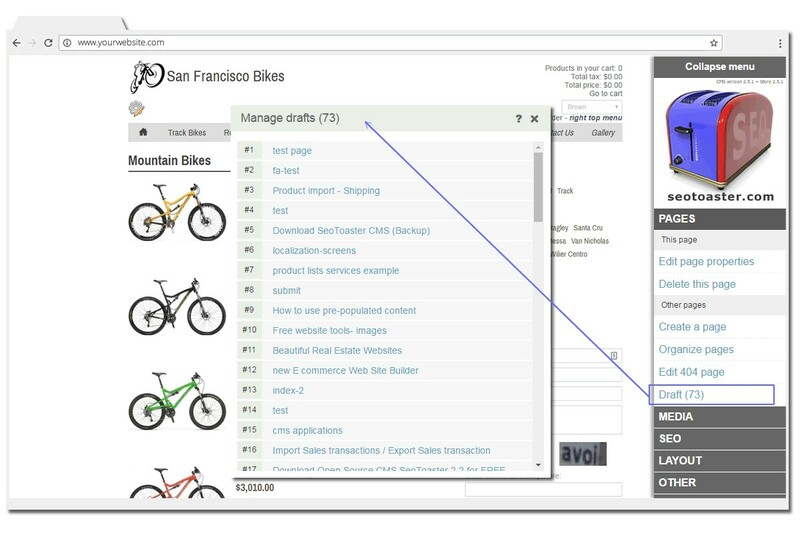 In order to set it with a draft status, just click "Edit page properties" and un-check the top left corner box "Published".